Please park ONLY in the Parking Garage (beneath the facility) – Property Management is actively towing visitors ignoring parking signage. Parking on the surface lot in areas marked “NO NORRIS PARKING” will result in your vehicle BEING TOWED. 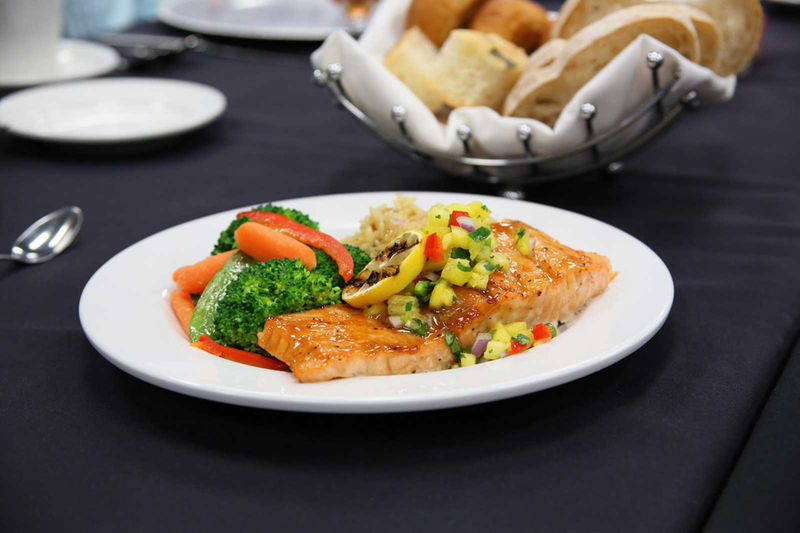 San Antonio corporate celebrations should be just that – a celebration. Dealing with committees and all the details necessary to plan a successful company event can certainly take all the fun out of the actual event. 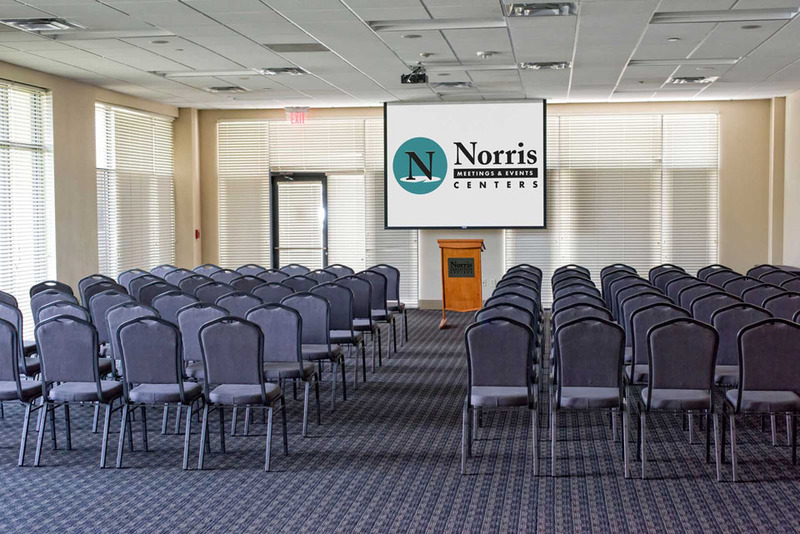 Why not trust the people who are already handling your other meeting and event needs – Norris Conference Centers? We’ll help you with all the details and still keep the fun in the event. 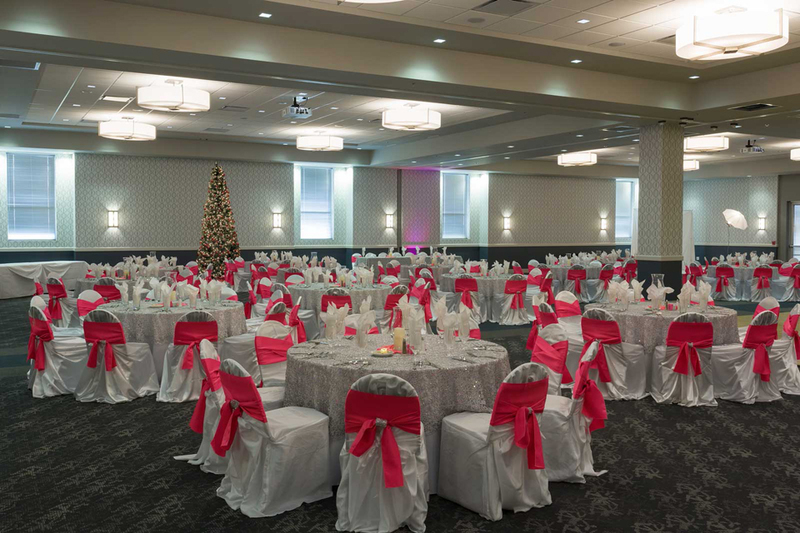 Since adding our elegant Red Oak Ballrooms for social gatherings, we have hosted hundreds of corporate events large and small. 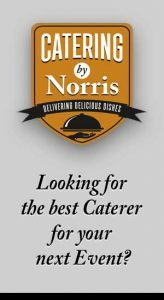 With Norris Centers as your partner you can look forward to your next corporate celebration! 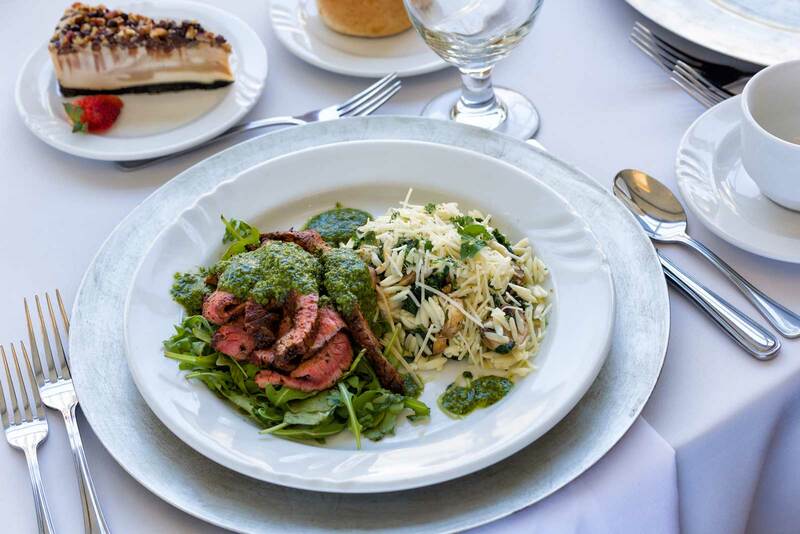 We like to think we’re the best at what we do. And with nearly two decades of hosting events at our venues, we’ve found a lot of other people who agree with us. They notice the difference from the moment they’re greeted in our chic, expansive foyers, styled with contemporary tile floors and then step in to our elegant Red Oak Ballroom. Our clients tell us how comfortable they feel sitting down with a staff member and a cup of coffee to talk. 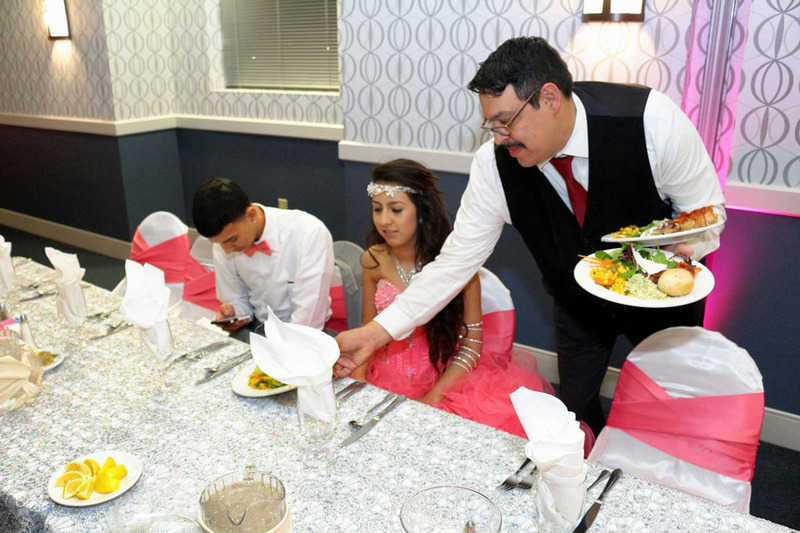 We like that each person feels welcomed at the Red Oak Ballroom, and we like even more that they tell us our exceptional service is flexible and accommodating. 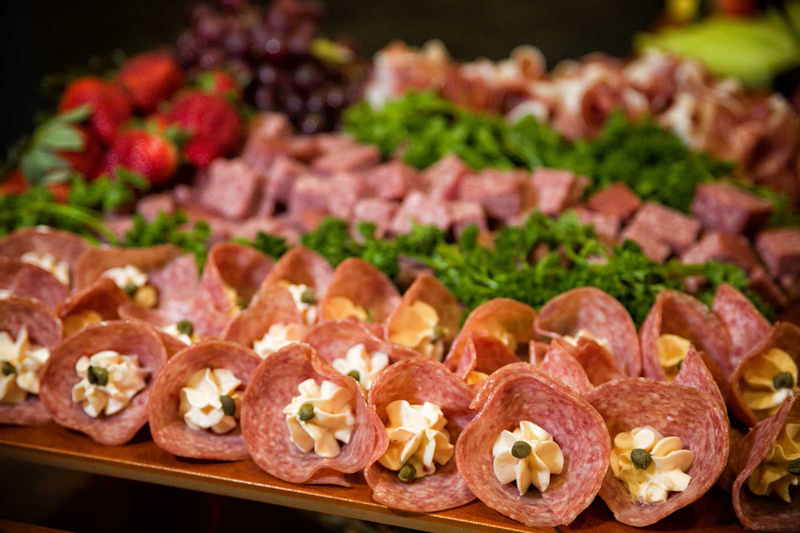 Call or e-mail us to schedule a tour and discuss your San Antonio Corporate Celebrations needs. 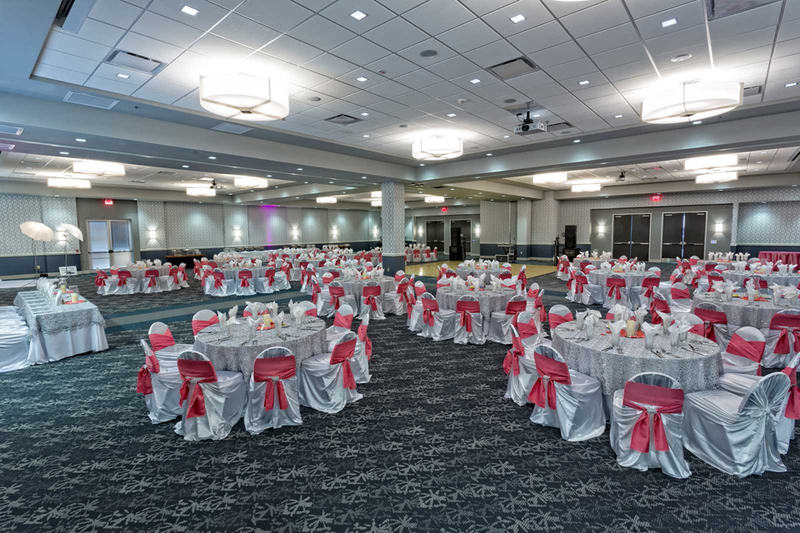 Enter our Red Oak Ballrooms and you’ll find an elegant, neutral color palate. No wild colors or patterns to limit your decorating choices or to distract attention. 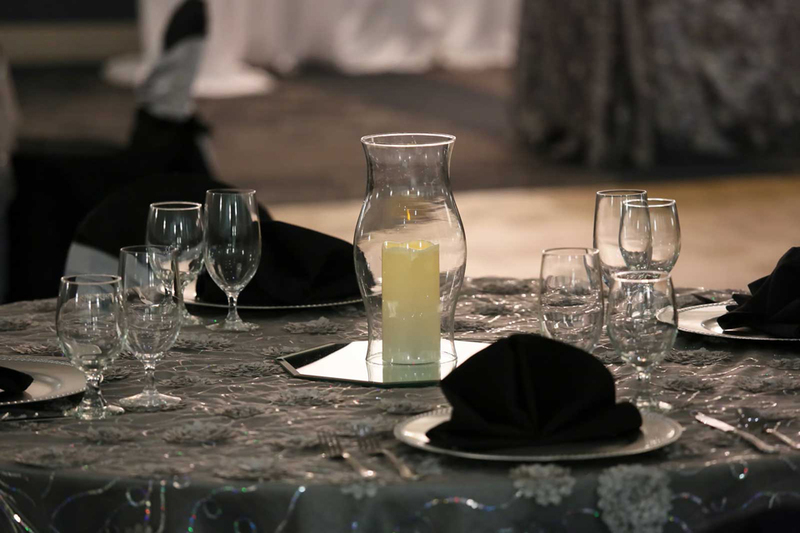 It’s the perfect blank canvas to make your special event shine. 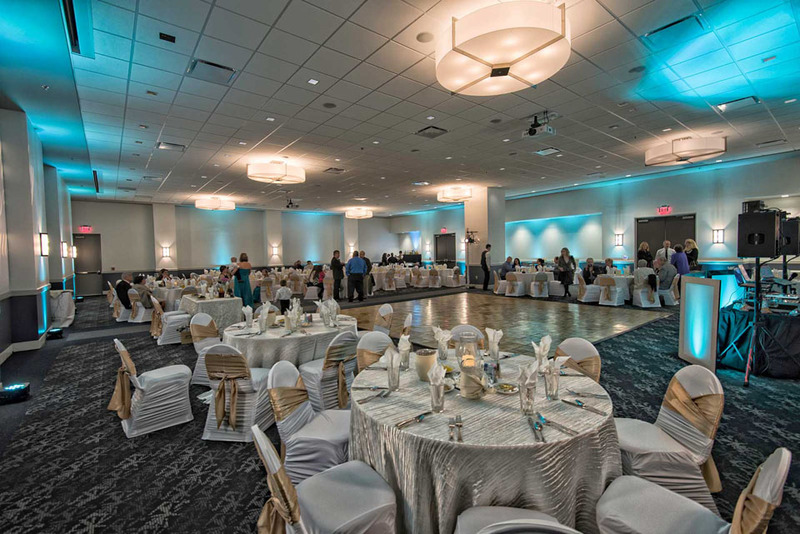 Various lighting choices are offered to transform the space into an event that’s truly yours. Make it a classy cocktail reception, or a five-course dinner pulled off with elegance and sophistication. Tell us your dream, your vision, and your needs and we’’l help make your special celebration special. 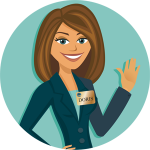 Discover why most of the people who walk through our doors were told by a friend to talk to us first. 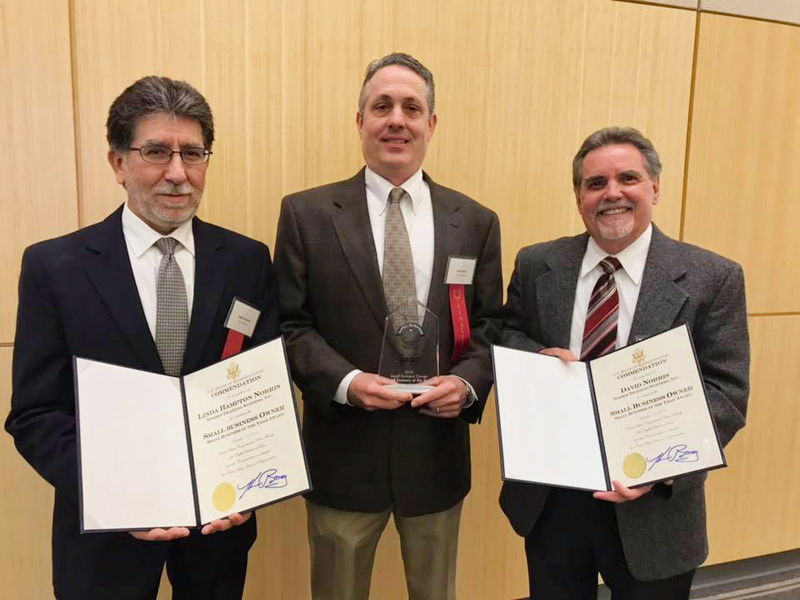 2019 will be our 4th year that we will use the Conference Center for our Annual Board of Directors meeting and Awards Luncheon. We are VERY happy with the quality of service we have received. The staff makes everything very easy and comfortable. Roy and I just wanted to send over a note thanking you for all of the work done regarding our Technician Business Meeting. Your entire team was extremely professional, helpful, and truly made our event a special one for our technicians. We were so thankful for Priscilla and the rest of the team who were on hand the night of the event for their assistance. 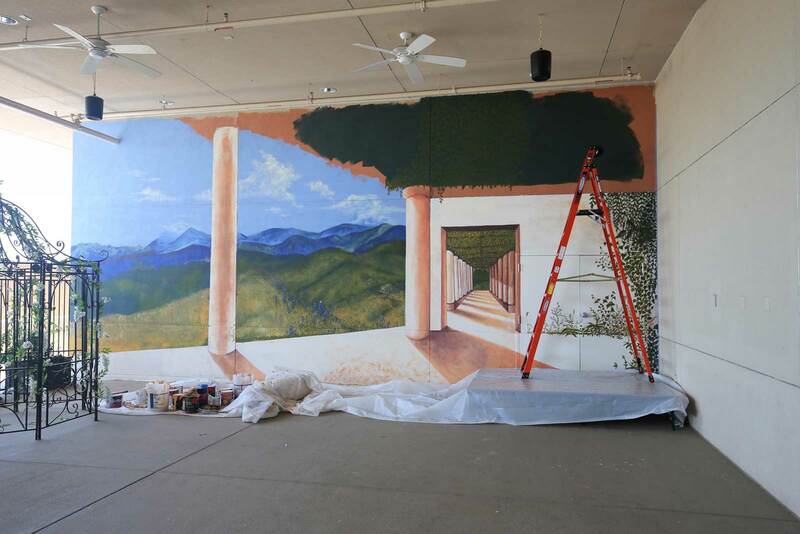 We were so pleased with the final result and very much appreciate our relationship with you and the facility. Please forward this email on to let your superiors know just how happy we were with the service we received while planning our event! This was our first time hosting an event at Red Oak Ballroom. The team was awesome — Jeff, Cristina, Angel and the food service people! They were there when I needed them (even though there was also a big job fair that day)! 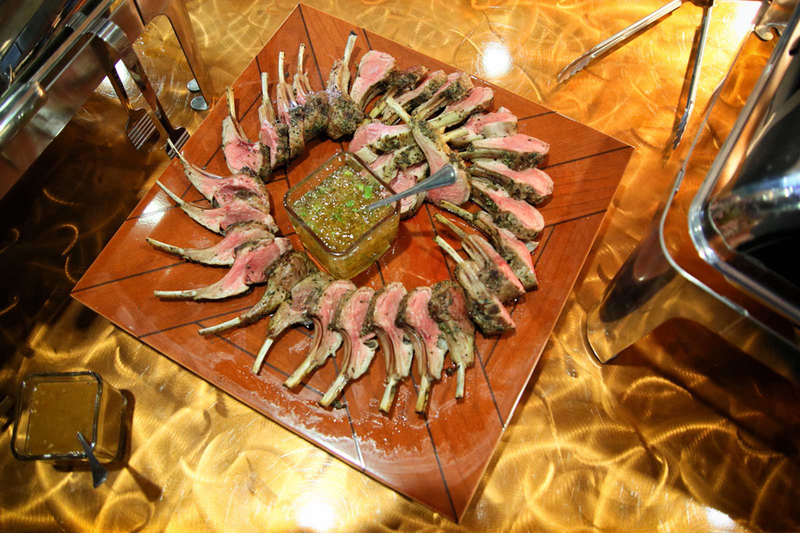 From intimate events of 50, or a grand reception of up to 800 guests.